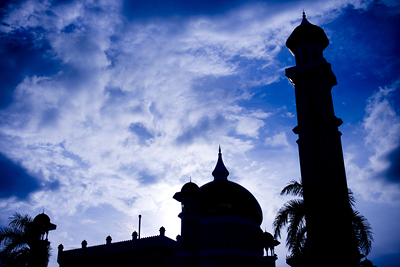 Located in Bandar Seri Begawan. 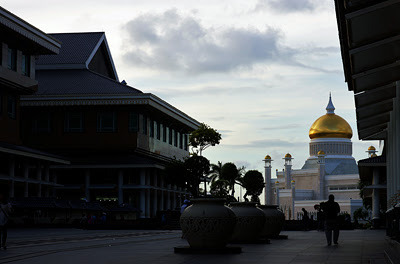 It represents one of the most lavish of buildings within Asia. Named after the Sultan Omar Ali Saifuddin the 28th Sultan of Brunei. Completed in 1958 with designs by the Italian architect Cavaliere Rudolfo Nolli. Composed mainly of marble it sits nearby an artifical lagoon on the banks of the Brunei River at Kampong Ayer, otherwise known as village in the water. 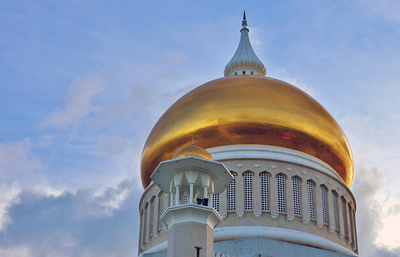 The main dome as shown here is covered in pure gold.It really is quite a sight to behold in person, one can hardly believe the extent the monarch has gone through in building these mosques. A must see.